Career | Keller Williams - Lafayette, IN Blog - "Get Real Estate"
As Keller Williams agents continue to rely on real estate’s most comprehensive contact and lead management system for their business, eEdge developers continue to roll out updates to improve upon the already revolutionary system. Below are a list of the latest updates to eEdge, which include many improvements to the myTransactions system in regions where it is currently available. A Form Clause Manager, which will prove to be a huge time saver by allowing for clauses and phrases that are frequently used on contracts to be saved and reused! Type the phrase into the clause manager once, and add it to forms with just a couple of quick clicks! The ability to customize email messages when sending forms and documents – enabling you to customize the email message that clients or co-op agents receive. This allows you to alert clients to specific fields, or add other information that would ensure all state and local regulations regarding communications are met. Greater efficiency in completing contracts and other forms. With the new forms user interface, all pages for a given form become one, scrollable document with a docked navigation bar at the footer of the page that is always visible – eliminating the time it takes you to “save and continue” while progressing through the document. For compliance purposes, however, clients will still need to click “save and continue” at the completion of every page to record their viewing of each page. Electronic access to entire sets of forms for specific transaction types or functions. Brokers can now package together sets of forms such as “Short Sale Transactions” – allowing associates to start a transaction with a specific set of forms without selecting them individually. Enhanced data import capabilities within myContacts now allow for 20 additional fields, along with auto reminders for birthdays, anniversaries and other key dates. Stay tuned for even more updates concerning the eEdge system as they become available! 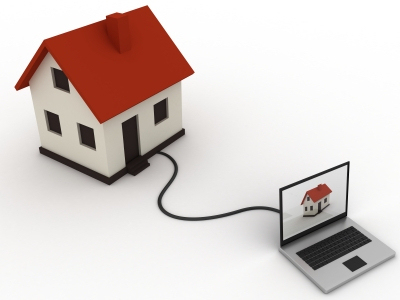 Are you interested in the many benefits Keller Williams’ technology solutions can have on your business? Contact our Team Leader today for more information! You’ve read the articles, heard the reports, and seen the numbers – Keller Williams Realty is passionate about the success of its agents. But how do we go that extra mile to show you just how much we value your business as an agent? Associates who attract other agents to the company are rewarded for spreading the news about the great opportunities available at Keller Williams. After all, we believe that agents are partners and stakeholders in the success of our business. Through a distinct profit sharing system created by Keller Williams Realty International, approximately 50 percent of every market center’s profits each month are returned to agents who have helped to grow the company. Today, nearly 25,000 agents are actively participating in the profit share program, with some agents having earned over $1 million in profit share alone. Growing your profit share tree with Keller Williams can have enormous benefits. Would you like to build a retirement plan that you can rely on and which will continue to grow for years to come? Would you like your mortgage payment to be covered each month simply by the money that is profited back to you from the program? Maybe you would like to go on a free vacation every year for the rest of your life? With the KW profit sharing program, the possibilities are endless. Profit sharing is just one of the many benefits of being an agent at Keller Williams. To find out more about the unique opportunities available to you, contact our Team Leader today. According to Entrepreneur Magazine’s recently released Franchise 500® list, Keller Williams is the top franchise among major real estate industry competitors, ranking 78th overall. We are incredibly proud of all of our associates here in Lafayette as well as those across the nation for making Keller Williams such a successful business! Information on the Keller Williams franchise can be accessed by clicking here. To learn more about the fastest growing real estate agency in the nation or to join our team, please contact our Team Leader. YOU are the driving force behind our success. Click the image above for a picture of where we stand and a forecast for where we are going. 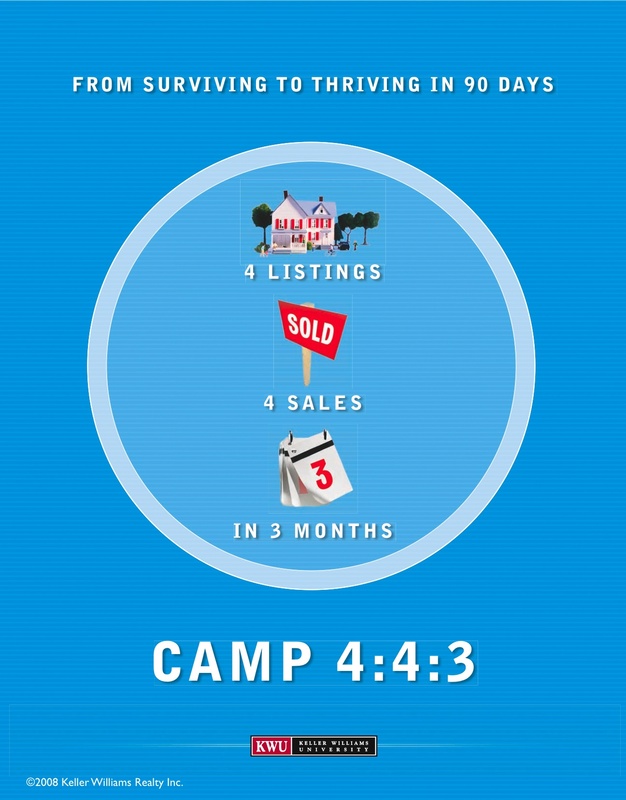 CAMP 4:4:3 (4 Listings and 4 Sales in 3 Months) reveals the basic sales and customer service skills and activities, models and systems to take you from surviving to thriving in 90 days. You’ll learn to get leads, service your customers and close the deal. Currently, several agents at Keller Williams Lafayette are taking the course to help jumpstart their careers or as a quick refresher on some of the basic skills needed to succeed in a dynamic market. Classes are taught by seasoned agents in the market center who have already had many of the experiences new agents will encounter as they progress in their business. Camp 4:4:3 is just one of the many training opportunities you will experience as an agent at Keller Williams Realty. By committing to a company that emphasizes education as a top priority, you will be investing not only in your career at present, but also your business in the future. Call or e-mail us today!